CTH News - CTH Members Prize Draw second winner announced! Home CTH News CTH Members Prize Draw second winner announced! CTH Members Prize Draw second winner announced! 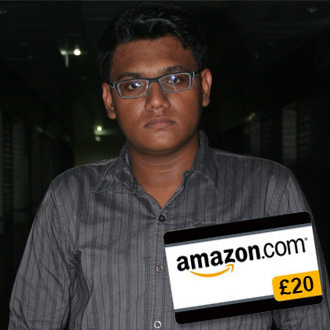 CTH is delighted to announce that Zoynul Abedin Bappy has won the prize draw for last month, winning a free £20 Amazon voucher, therefore making him the second winner of the prize draw. Zoynul Adedin Bappy, currently studying at the IBS Professional Training & Services in Bangladesh, visited the CTH Members website at least once last month so making himself automatically eligible for the free monthly prize draw, he was later confirmed as the second winner of the free prize draw. If you are a CTH Member make sure you log on to the CTH Members website at least once each month to make sure you're in with a chance to win each month's prize draw! Don't miss your chance to collect the free £20 Amazon voucher we'll be giving away every month for the next five months! CTH is recognised and regulated by Ofqual, the regulator for qualifications, exams and tests in England. Ofqual's work ensures that learners get the results they deserve and that the qualifications they receive count, both now and in the future. Unless otherwise indicated, all CTH qualifications sit within the Ofqual’s Regulated Qualifications Framework (RQF) that has replaced both the Qualifications and Credit Framework (QCF) and the National Qualifications Framework (NQF), and can be found on Ofqual’s Register of Regulated Qualifications.